The very first knockout rose bush bloomed in front of my office a few days ago! 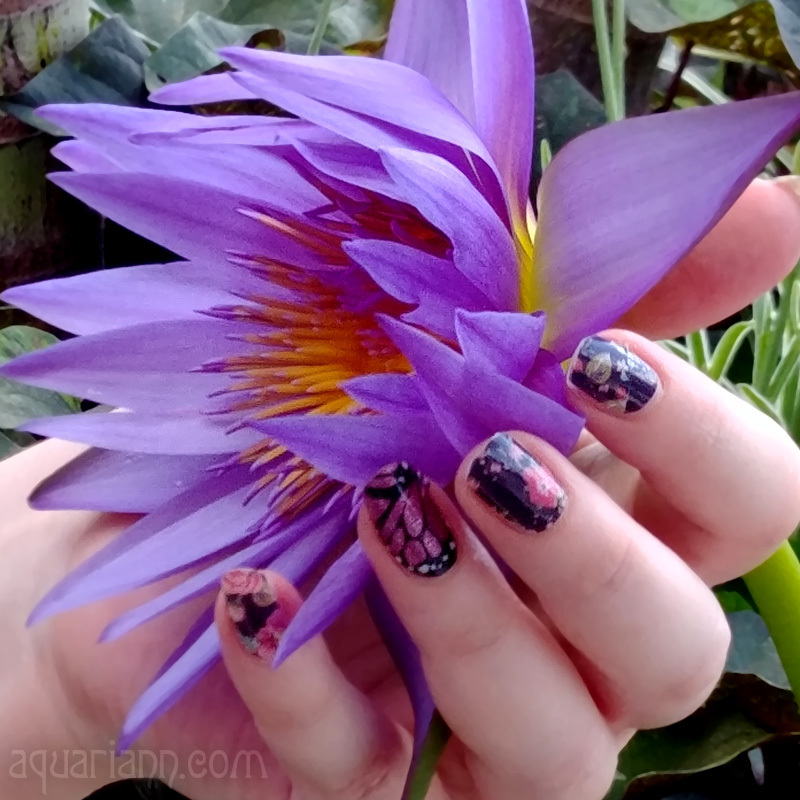 My nails beat them to the punch - I applied Jamberry Nails' exclusive Rose wraps the Saturday before Mother's Day after winning a Ruby & Rose gift set from Jam Dandy Nails, a Senior Lead Consultant. In addition to the rose nail art, the beauty box also arrived with two other nail wrap designs (the pink striped accent nail I used is named Dearest), Ruby nail lacquer, nail file, orange stick, toe separators and pumice stone. Jamberry included a bag of peppermint taffy to sweeten the deal, which I shared with my coworkers. Very pretty! 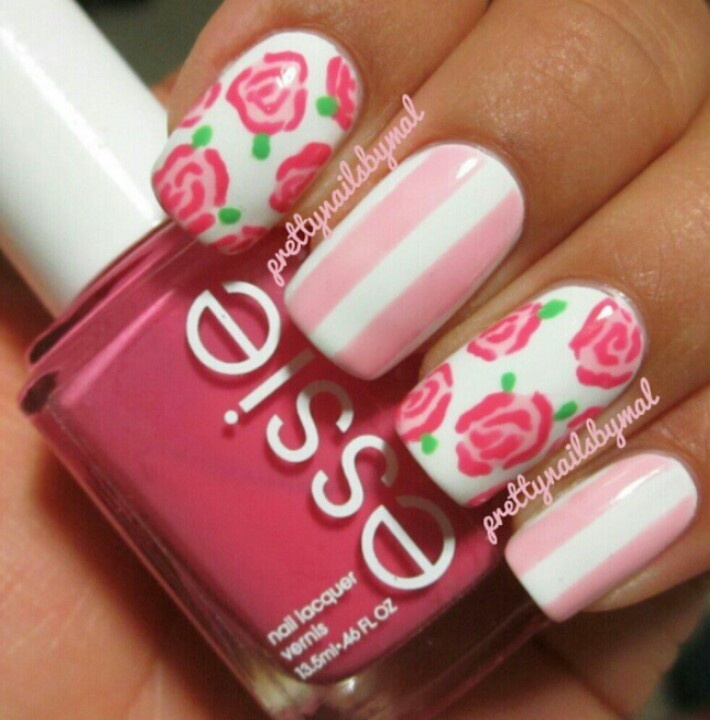 Great spring time nails. 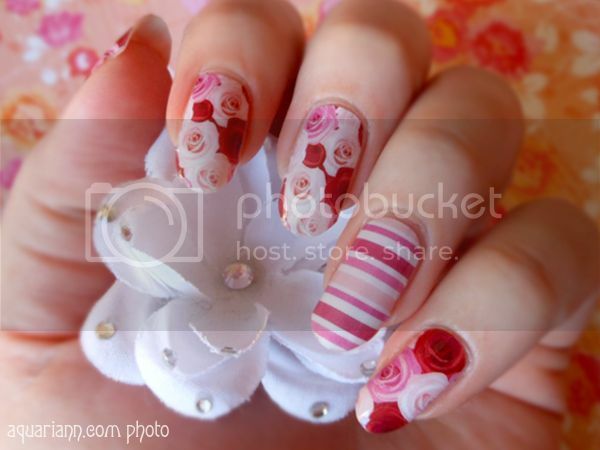 I love the one striped accent nail with the roses! It looks so good together! So pretty! Love the roses and the colors! Love! So great for Valentine's Day too! Wish I would of saw this earlier for Valentines day! Oh well February is heart month! this is so pretty would love this. This is so pretty. 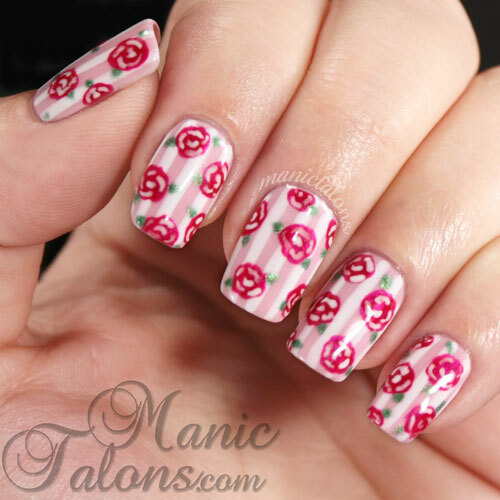 I think I am going to have to do this manicure in June, it is my birth month and roses are Junes' flower of the month. Very beautiful; the two prints match wonderfully together. I think that they are lovely!